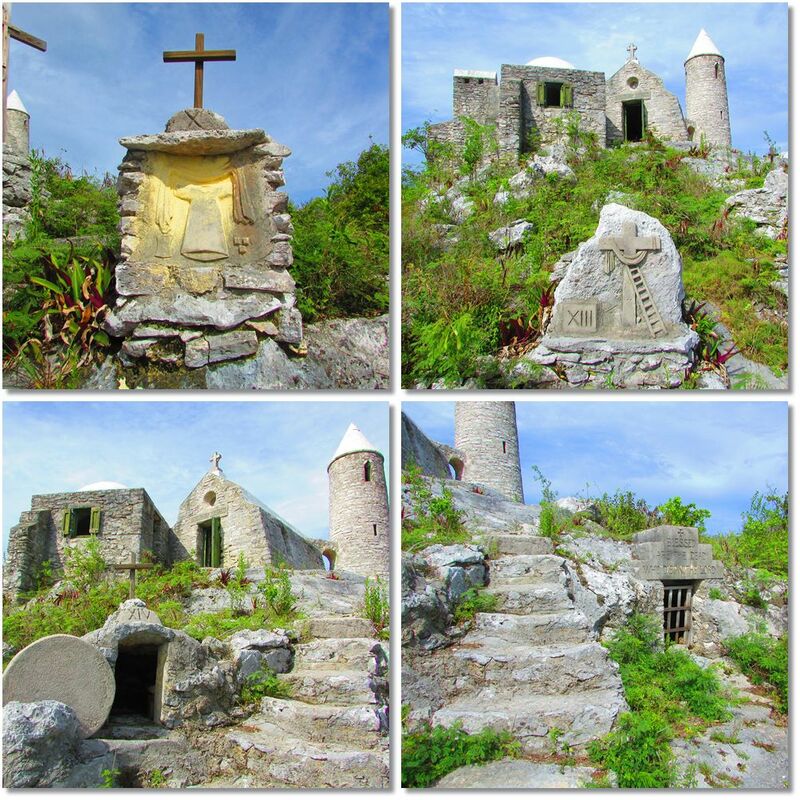 Mount Alvernia is a small hermitage that sits atop the highest hill in the Bahamas a whopping 207 ft above sea level. It is located on the hill behind the settlement of New Bight on Cat Island. AJ and I decided to take the two mile "hike" along the empty paved road through the jungly brush to check it out. The 207 ft incline is done just about all at once. At the base of the hill a gate bearing the cross and seals of Rome invite you to begin the climb. 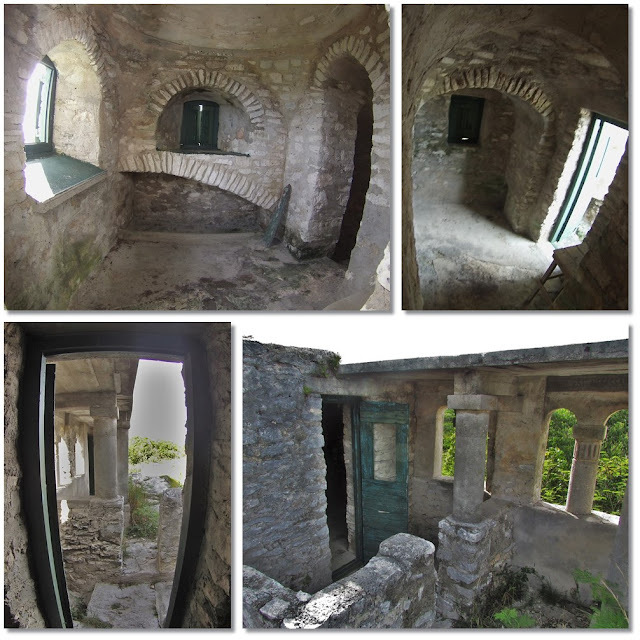 As you get nearer the hermitage you enter a steep rocky path that winds you through the stations of the cross. At the top an open chapel door beckons, as does Rapunzel's tower. Inside the room left of the chapel, a tight rounded hall descends into to a couple rooms that lead to a covered walkway that leads to a little bedroom on the end. From the other side, it looks more like a fairy tale. The structure is so small that I (at 5'2") could climb onto the roof without assistance. AJ is a head taller than the doorways. Isn't it just fantastic? 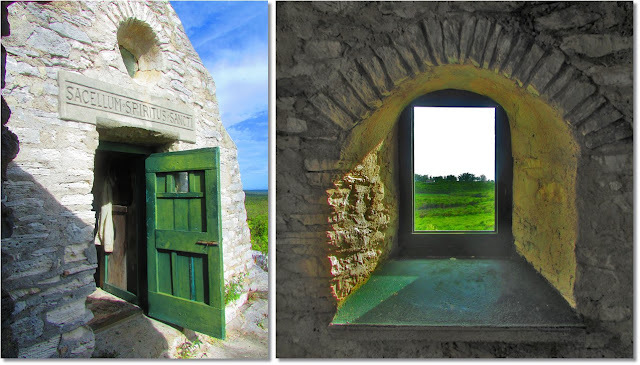 It was built by a lone English priest by the name of Monsignor John Hawes(1876-1956). Hawes was also a prolific architect. Most of his work (cathedrals) are in Western Australia. 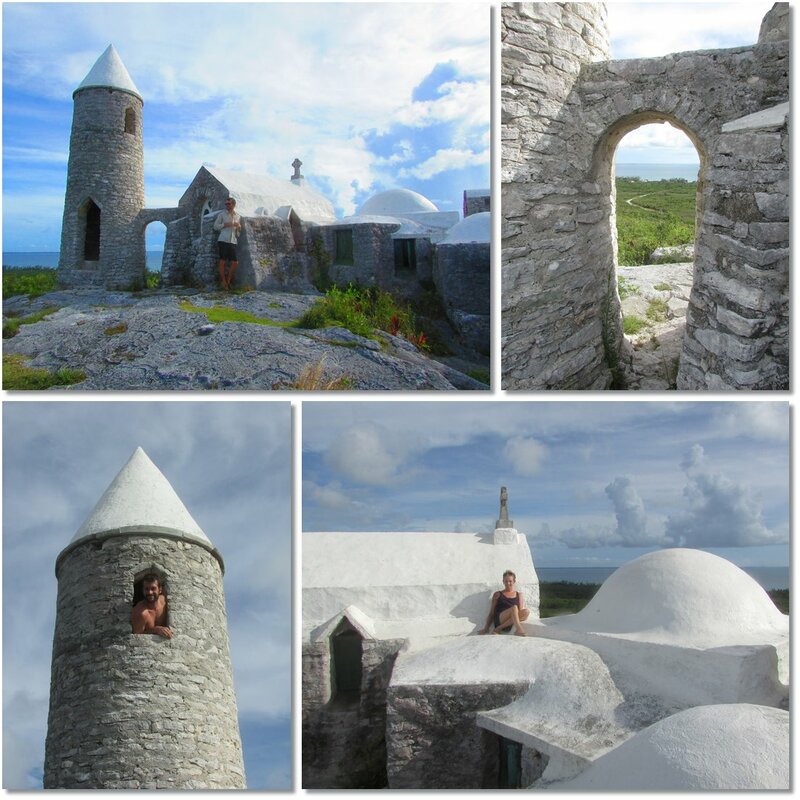 He came to the Bahamas to build his retirement home. 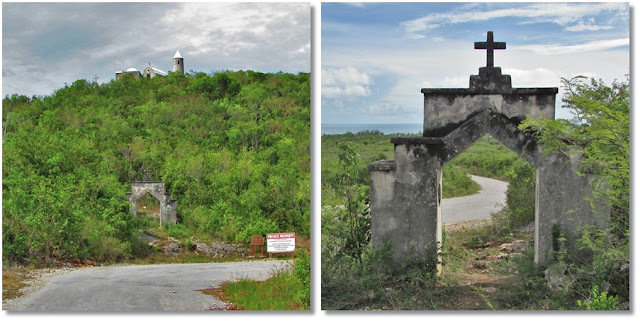 He lived atop this hill as a hermit for 17 years going by the name Father Jerome. While residing here, he designed and built five churches in the Bahamas. We planned to enjoy the sunset from the rooftop overlooking the ocean, but the mosquito hordes appeared in full force at dusk which quickly sent us running back down the hill for one last beachside sunset at the fish fry before heading north up the coast to Arthur's Town.